Convey your warm wishes to your brother and dear ones with this Fabulous Rakhi and Chocolate filled with Happiness and make their Raksha Bandhan special. 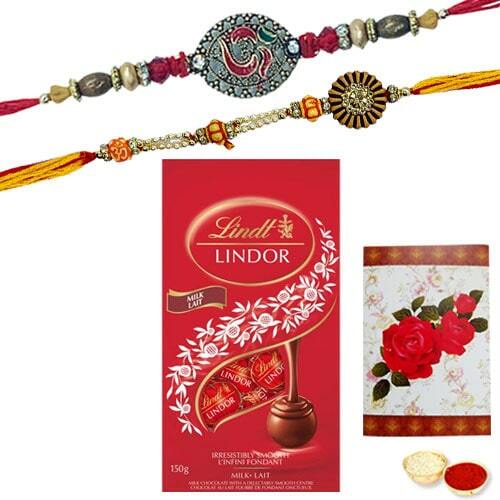 These are 2 Designer Ethnic Rakhi with famous Swiss Lindt Lindor Chocolates 143 Gms. pack and a handmade paper Rakhi Card. The Rakhi Design May alter.